People with a vague understanding of criminal law know police make arrests when the offender is culpable of a crime. However, only one property of criminal law allows police to accurately judge a suspect before making an arrest. According to Nolo.com’s summarization from The Criminal Law Handbook, the term probable cause describes the ‘suspicion that a suspect committed a crime, which lacks the concrete information required to prove a suspect guilty beyond reasonable doubt.’ The Fourth Amendment protects probable cause as a key principle in the process of arresting an alleged offender. Police, in fact, need probable cause to determine the grounds for making an arrest. They also need probable cause to justify an arrest after it’s made or if they’re asking a judge to issue an arrest warrant to an accused party. The main principle of probable cause allows police officers to pinpoint any ‘objective factual circumstances’ where they believe a suspect may have been involved in a crime. Judges ultimately hold the ‘final word’ on determining probable cause; if they don’t believe a suspect’s circumstances support a probable cause, there’s no justification for it. How much information constitutes probable cause for police officers? The amount of information that constitutes probable cause can grant a police officer the right to issue a warrantless arrest or request a judge to issue an arrest warrant. The judge’s perspective regarding the police’s rights and criminal rights. In general, probable cause is considered an abstract concept in criminal law. Due to that, it’s up to a judge to use their own interpretation of probable cause to come to a conclusion. That’s what causes judges to invoke probable cause in some cases, while disregarding it in others. As a principle of criminal law, probable cause is an important concept that determines whether police are justified for making an arrest. 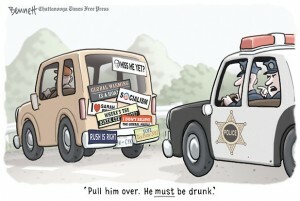 Such a principle complicates and, at the same time, makes the arrest.